Become Your Own MTM Pharmacist – With MTMCare Special Offer! Nothing gives me more pleasure than to introduce my fellow pharmacists to some of the most cutting edge developments in our profession. And maybe nothing is more important, relevant and timely than the developments surrounding Medication Therapy Management (MTM) being introduced by Randee Bowder and her team at MTMCare, Inc.
What makes this post special is that Randee has an incredible, limited time offer for our readers here at The Honest Apothecary! 1) Randee, welcome back to The Honest Apothecary. It has been a couple years since we last spoke. Can you tell my readers how your MTM business has developed since then? MTMCare, Inc. is a network of pharmacists providing medication therapy management (MTM) and clinical pharmacy services to high-risk patients. We continue to provide MTM services as a subcontractor to larger MTM service providers, but additionally we are also a direct provider of MTM services to health plans. Over the past year, with Community Transformation Grant funding, we established an embedded pharmacist model that allows MTMCare pharmacists to deliver MTM services in a clinical setting. And, in response to the many pharmacists who have reached out to us (some having read my last interview with Honest Apothecary) with questions about starting their own MTM business, we launched MTM Launchpad, an MTM Pharmacist Entrepreneur webinar series and the MTMCare Affiliate Program. Both are intended to help prepare and train pharmacists who want to create their own MTM business. 2) Many pharmacists, depending on their work setting, may not really understand what MTM is all about. Can you explain MTM and why insurance companies are willing to pay for pharmacist interventions like this? The Medicare Modernization Act of 2003 introduced MTM to the market. The service is intended, in part, to empower patients to manage their own medications and to “support the establishment and maintenance of the patient-pharmacist relationship.” The core service of MTM is an annual comprehensive medication review (CMR). 1) Interventions for both the patients and the prescribers. 2) An annual CMR with written summaries in CMS’ standardized format. 3) Quarterly TMRs (targeted medication review) with follow-up interventions when necessary. Insurance companies are required by CMS to pay for pharmacist interventions for patients with Medicare Advantage plans and Medicare Part D plans. Yet even health plans that aren’t held to the CMS standards are providing MTM services to their patients because it improves both patient health and the health plans’ bottom line. The primary measurement of success in delivering MTM services is the CMS STARs ratings. Soon to be added to the STARs rating system is the CMR completion rate. MTMCare has a 40-50% CMR completion rate – one of the best in the industry. 3) Many pharmacists who work in retail are familiar with the big names in MTM like Mirixa and Outcomes. They do MTM reviews for their employers. But you are proposing a model where a pharmacist could do this on their own. How is that possible? Yes, MTMCare has built a business model that sets up an independent MTM pharmacist to lead a successful MTM practice. Right now a pharmacist has no tools outside of traditional pharmacy environments to bill for MTM services. MTMCare has created a new network of pharmacists who provide MTM services in multiple ways — face-to-face, telephonic, telehealth, and in providers’ offices. Our pharmacists have the required training and experience that allows them to achieve high CMR acceptance rates, which is directly tied to health plans’ STAR ratings and HEDIS measures, which will make this network of pharmacists attractive to health plans. 4) Please explain the webinars that you have created and what you are able to teach pharmacists through your experience. As mentioned earlier, we started MTM Launchpad, an MTM Pharmacist Entrepreneur Webinar Series, to help pharmacist entrepreneurs understand the opportunities and challenges within the MTM industry, and arm them with the necessary tools to start their own MTM business or become an MTMCare Affiliate. I hope that by sharing my own experiences, I can help other pharmacists realize their dream of owning their own business. On its own, starting a business can feel daunting. But given today’s regulatory environment, starting a health care business can feel unattainable. The goal of the webinar series is to provide a realistic view of what it takes to succeed in the MTM market. 5) What does a pharmacist need in order to begin doing MTM on their own? 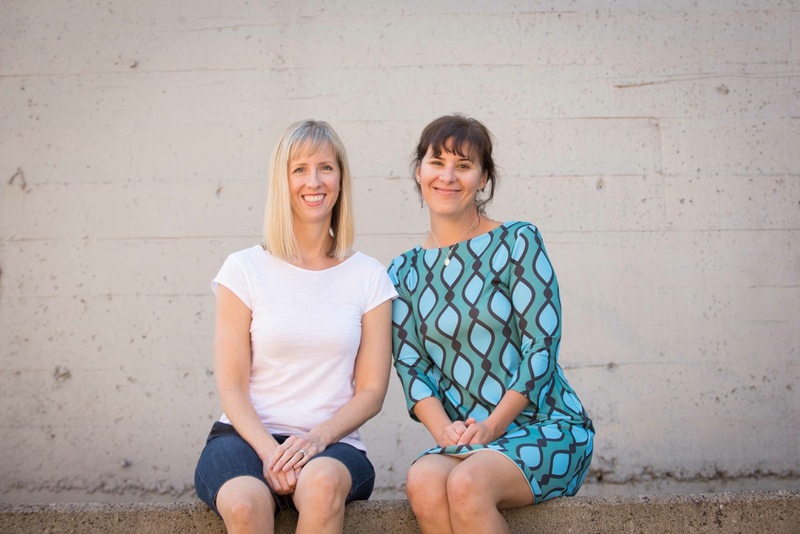 My business partner, Nicole, and I worked hard to create a successful MTM business model. It’s hard to distill it down to a few key points, but I’ll try. 1.) First, you need to be sure that you have the skills and the rapport with patients to provide MTM services. Pharmacists can work through existing MTM companies and retail pharmacies to get some experience conducting CMRs. 2.) You must have the financial means to start your own business. Saving money, reducing debt and reducing your cost of living will help you get through lean times. One way to do this is by working part-time as a pharmacist while getting your MTM business off the ground. 3.) Pharmacists interested in providing MTM services must have specific credentials. While it isn’t required, it doesn’t hurt to get an MTM certification. Board certifications are a plus, particularly a geriatric certification. 4.) From there, it’s all about getting patients — and that’s the hard part. I recommend that pharmacists utilize their network to search for opportunities. The MTMCare Affiliate Program supports pharmacists who want to reach out to their local retail pharmacies, provider’s offices, and individual self-pay patients. Provide an overview of the MTM market and opportunities for growth. Review the requirements of starting an MTM business, as well as the personal skills and qualities needed to succeed. Provide a first-hand perspective on how to launch and grow an MTM business. Explain some of the key things to consider before launching an MTM business. Provide information about becoming an MTMCare Affiliate. 6) You are offering a special discount to the readers here at The Honest Apothecary. Where can they go to purchase your program and what will the cost be? All The Honest Apothecary readers receive a 10% discount on the MTM Entrepreneurship Introductory Webinar, Starting an MTM Business – Is it Right For Me? The discounted price is $107 and the webinar is available on demand, so your readers can watch it at a time that’s convenient for them. Go here to purchase and watch the replay. Our 3-part series, MTM Launchpad, goes more in-depth about starting an MTM business and can be purchased at a discount once you’ve watched the introductory webinar. Feel free to contact me with questions at 541-436-2575 or randee@mymtmcare.com. So, are you interested in making an investment in your career and your future that is sure to pay big rewards? I would HIGHLY recommend taking advantage of this generous offer from Randee and MTMCare. .